It’s hard for brands to be able to react to situations in the marketplace. Most just aren’t set up to be nimble. It’s a real challenge, because you miss some amazing opportunities. One great example I know of is from O2. A few years ago when over 140,000 of their customers were stranded by the ash cloud, their marketing team saw an opportunity to drive loyalty. They moved quickly to get the lead on their competitors. They invested heavily in the short term (loses massive amounts in roaming charges) to build loyalty in the long term. What did they do? They offered all their stranded customers free texts for a week. Simple, but the impact was huge. 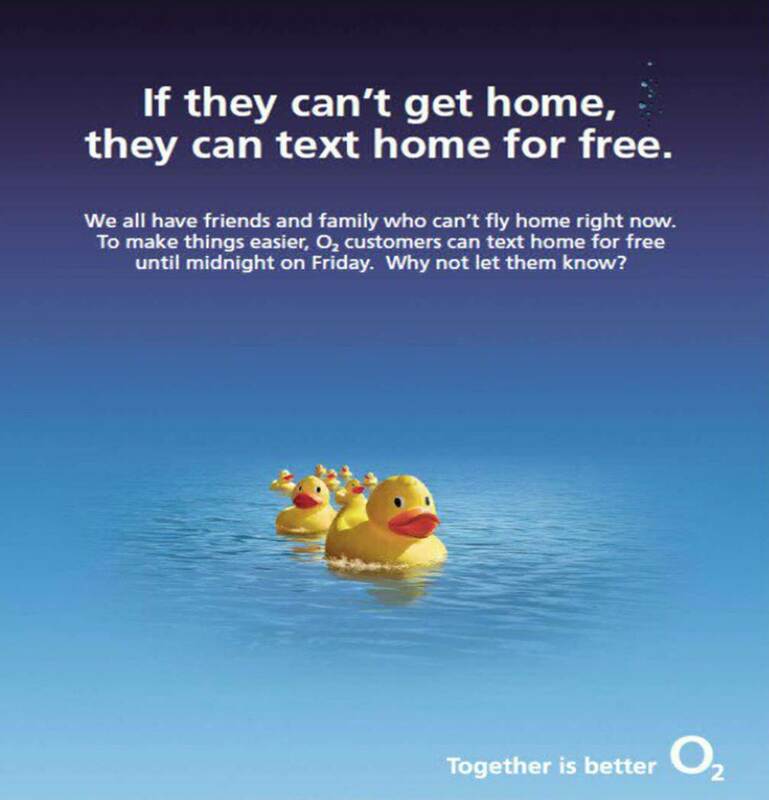 The buzz around the brand “did you hear what O2 are doing” was incredible. People who were on O2 loved them for it and those who weren’t on O2 wished they were, I mean after all this is a brand that cares about you. Genius move that worked because they were nimble enough (and smart enough) to tap into something that was going on. You have to be asking ‘what’s happened in the past 24 hours, how do we need to respond to it? Of course you aren’t going to do this alone, your agency is central to this. So your relationship with them needs to be set up to allow this kind of thinking to thrive, not at the expense of your other requirements but in a way that amplifies and compliments them. How are you set up to react and respond? If you aren’t are you set up to miss out? 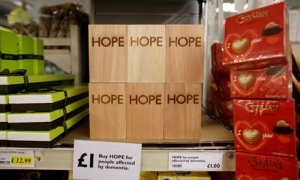 Two chains of supermarket Budgens are selling blocks of “hope” alongside its baked beans and bananas. Shoppers will be urged to take them to the till where they will be charged £1 per block which the retailer will forward to the Alzheimer’s Society – the block is then returned to the shelf. Horton said that if the idea takes off, the blocks could be branded for different charities and distributed appropriately in store, for example those in aid of children’s charities could be stacked next to nappies and baby food. “Customers are very focused when they come into the supermarket,” said Andrew Thornton, owner of the Budgens branches where the scheme will be tested. “So it makes sense that this method of donating is very quick.” He said they will try placing the blocks in different locations, starting with beside the impulse-buy chocolate bars at the till queue. Budgens will cover the administration cost of the scheme and the advertising agency will pay for the blocks. I love this kind of initiative. Creative, stands out, simple. What do you think? Should Tippex just left it well enough alone? I was talking about the Tippex youtube campaign last week and yesterday morning I was looking at it again. It was great (check it out below) and really effective, 19 million views! Then yesterday I saw they had released a second version of the campaign on you tube. I just wonder should they have left something brilliant alone and not gone back to try and re-live their success. Surely the success of the first campaign was in its originality? This one is, unfortunately, not original. It is using the platform brilliantly, but its been done. It feels like a film that was successful that does a sequel to rake in the cash. Maybe, given there is a two year gap, enough time has lapsed to justify the spend here. But I just wonder should the brief been to move it on by two years, not just replicate what was already done. In my humble opinion, I think they should have either moved this on, or left it alone.